Home | Blog | Color Coordinates Schoolhouse Red! Hey there everyone! Happy Friday!!! It’s Shari here with the Color Coordinates Schoolhouse Red! Schoolhouse Red is the darker of the two Simon Says Stamp red card stocks and ink. It reminds me of an old time red… like paint on barns! I’ve brought together some product that works well together but have also focused on adding in some neutrals. I’ve put together my walk through video and an introduction to my simple card. Enjoy! 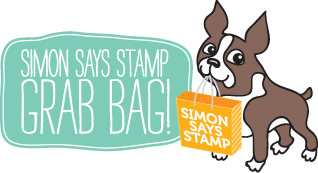 Simon Says Stamp Khaki, Slate and Black cardstocks look fabulous with Schoolhouse! 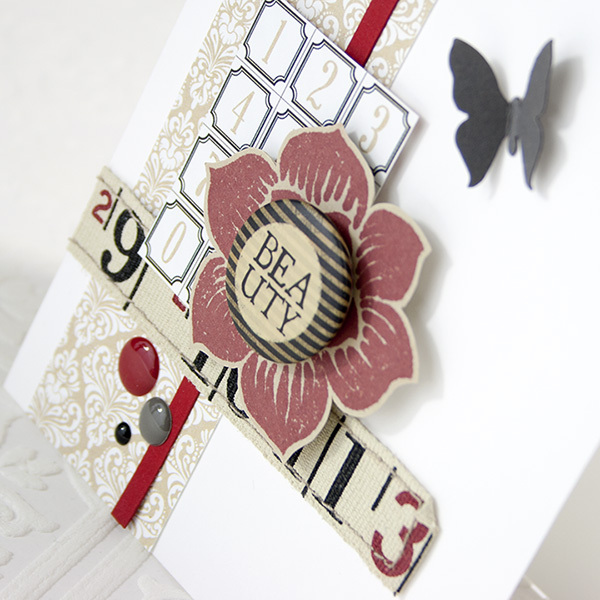 I’ve stamped the Prima flower image onto Khaki cardstock using Schoolhouse Red ink, then cut it out using my scissors. I’ve also cut out panels from the Teresa Collins Hello My Name Is paper pack to use as part of my arrangement. To finish things off, I added in a small butterfly cut from Slate cardstock and some enamel dots. No special techniques here, just a little layering fun with a hint of elegance! Before I go… I have a Blog Candy Alert for you! Follow our blog via email and comment on this post for a chance to win a special blog candy! 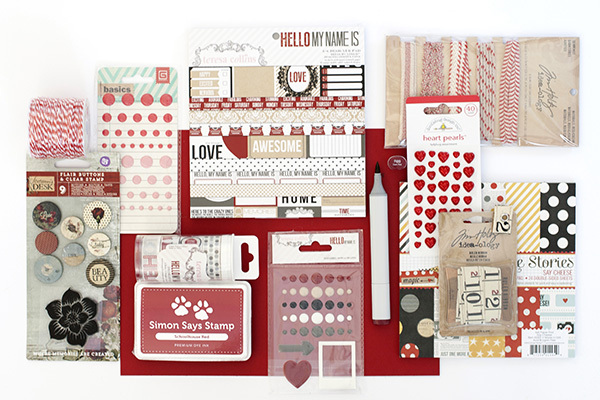 LOVE this fabulous red collection of goodies! I love this colour. It’s hard to find a nice dark red that isn’t too brown or too purple. More great color coordinates inspiration- I think I even have some of these things in my stash! I love red, so I really love these coordinates. Great card! This card is so cool, I love the colours. Shari, your designs are inspirational. Love the color coordinates themed posts! Another amazing card, love your style, and all of these products. Red is my favorite. I love how you paired it with the neutrals. Wow usually not a fan of red, but this color combo looks awesome! I’m not a big red fan but I like this tone. very pretty. A good red is always a good thing! Many thanks for this!! !